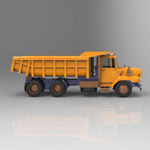 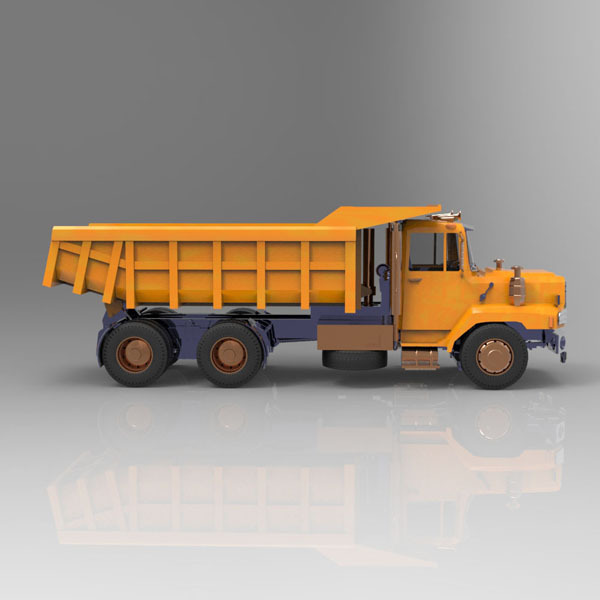 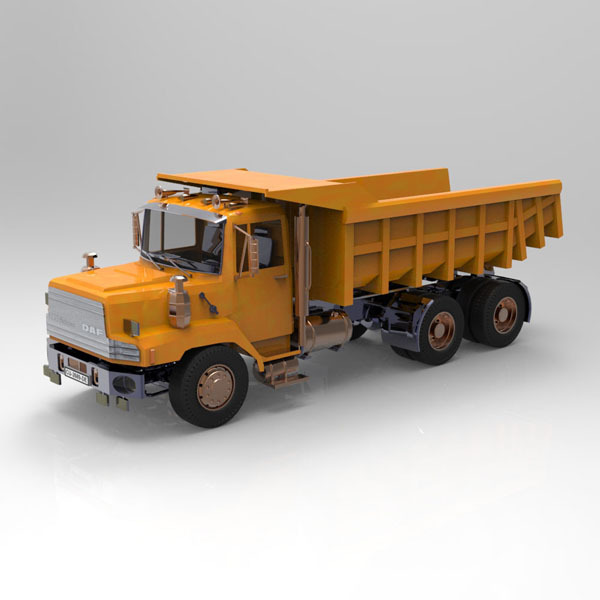 A dump truck or production truck is a truck used for transporting loose material (such as sand, gravel, or dirt) for construction. 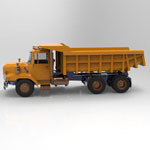 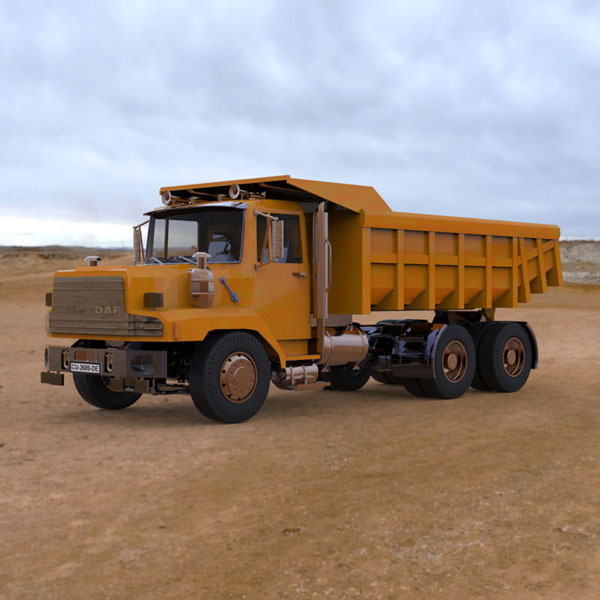 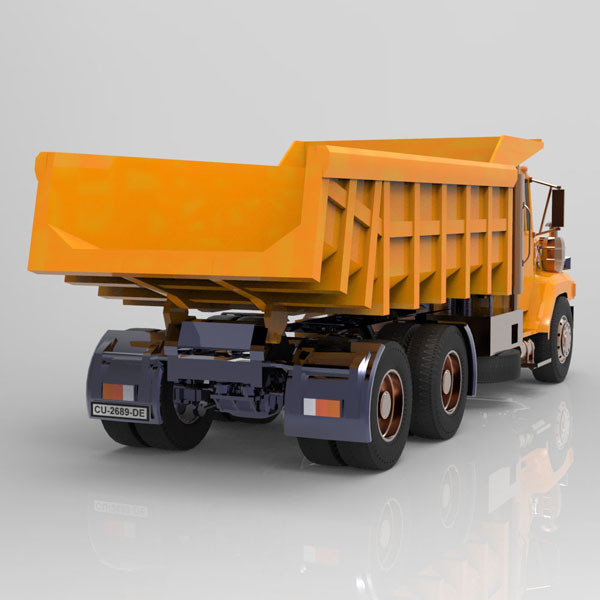 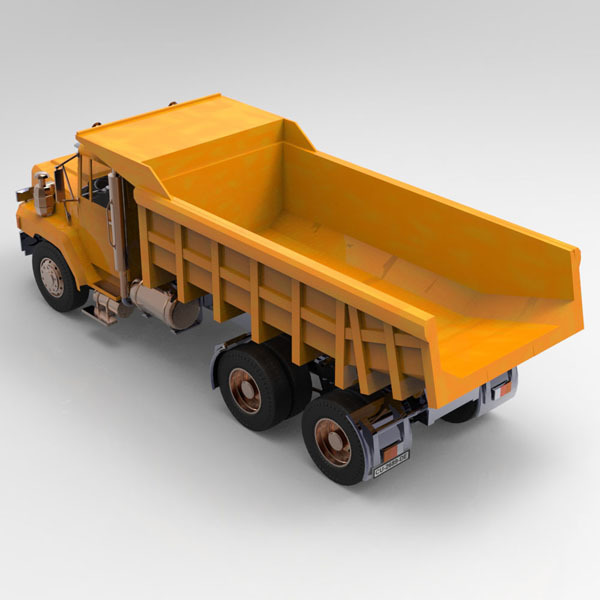 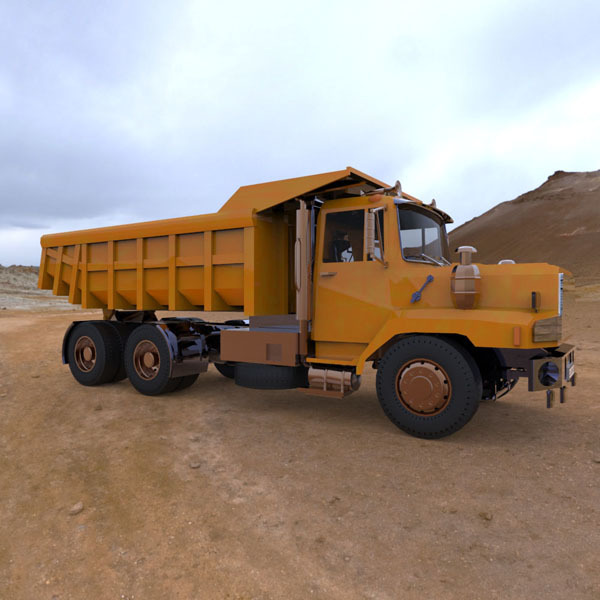 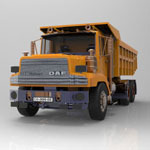 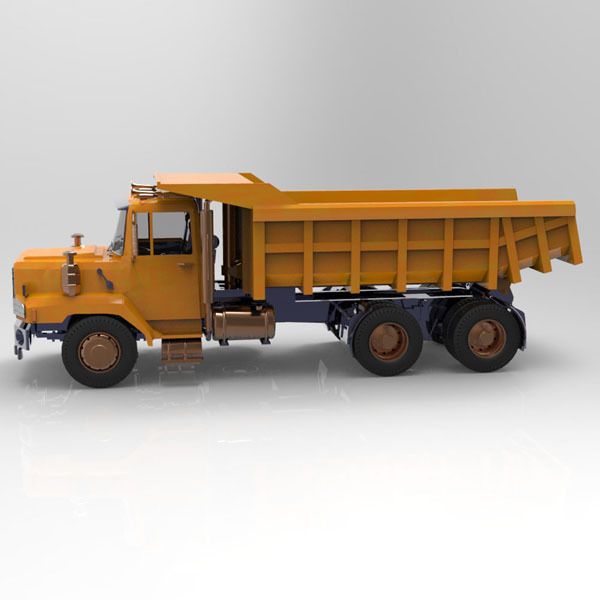 A typical dump truck is equipped with a hydraulically operated open-box bed hinged at the rear, the front of which can be lifted up to allow the contents to be deposited on the ground behind the truck at the site of delivery. 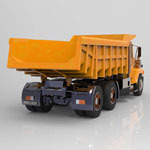 In the UK the term applies to off-road construction plant only, and the road vehicle is known as a tipper. 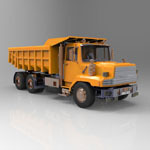 The product contains four resolutions of the model, the high resolution version being rigged for animation. 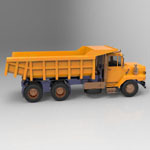 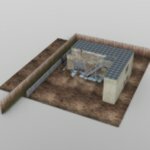 The model is highly detailed and textured.